We are the game-changing force behind a better planet for all. We are a community of challengers of the status quo, warriors of truth, and pioneers of world change. We are all working together for our common goal: A disease-free, knowledgeable, and sustainable global community. 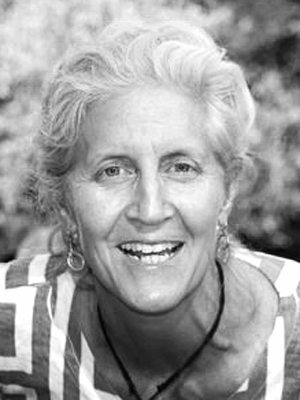 Margarita is the founder and editor-in-chief of the award-winning plant-based nutrition magazine, Naked Food. She is a recipe developer, Naked Food Chef, author of the Naked Food Cookbook, and co-author of the Master Plants cookbook. Margarita is a visionary, altruist, and activist for humanity and planet Earth. 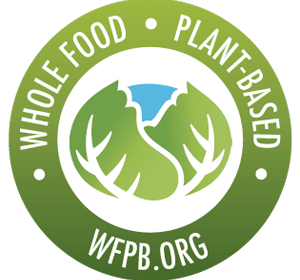 She envisioned WFPB.ORG in 2013, as part of her plan of action to change the status-quo. Her goal is to join together human and environmental health into a self-sustainable approach to living. 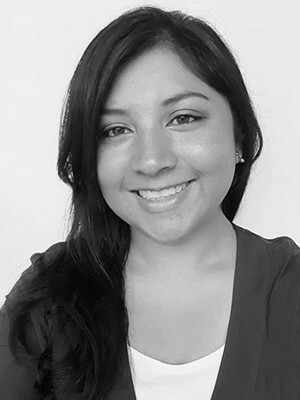 Margarita holds a double major in Design and Marketing and is certified in plant-based nutrition. 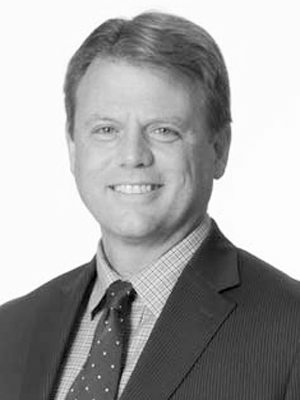 David Albrecht is an accomplished and well respected senior executive with great experience as a team leader, managing multi-disciplinary teams. 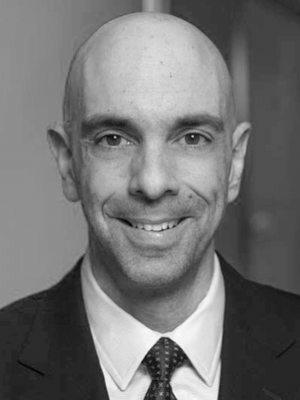 The co-owner of multiple vegan businesses, David is also an expert on tax law and compliance, and worked for several years as an analyst for the IRS. Glenn has vast experience in the areas of leadership as well as financial and operational planning, analysis, and performance. 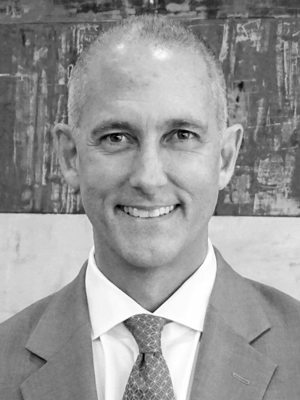 An experienced airline finance and commercial leader, Glenn is also the Senior Vice President of Finance and Treasury for JetBlue Airlines. Mr. Cusano is a certified public accountant and a graduate of Quinnipiac College. 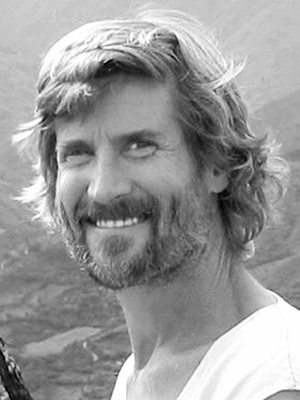 Joe Heller is a thought leader in marketing and branding strategy purposely advocating for enterprises with humanitarian objectives. As a growth strategist, Joe’s expert and diverse background allow him to advise startups and on-going enterprises on how to expand the reach of conscious offerings to evolve into an E3 [efficient, effective and excellent] enterprise while strengthening tribal consumer influence. Purposely didactic with the objective to enable this ‘living enterprise’ as a change agent for the greater good to create a new more compassionate worldview. Joe is a humanitarian entrepreneur and strategic advisor, angel investor, activist, and Plant-based lifestyle advocate. Dr. T. Colin Campbell, is a scientist known worldwide by many as the “father of science” of the fast-growing nutritional plant-based movement thanks to being one of the pioneers in education and research in nutrition. His legacy, The China Study, is one of the most comprehensive studies ever conducted on health and nutrition. 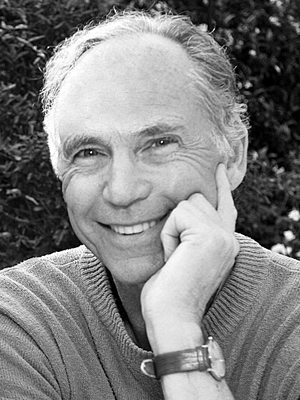 Through his immense work, Dr. Campbell has inspired thousands of leaders and patients around the world to change their lifestyles and implement clinical and public health programs to not only prevent but successfully reverse chronic degenerative diseases such as cardiovascular disease, diabetes, cancer, arthritis among others. 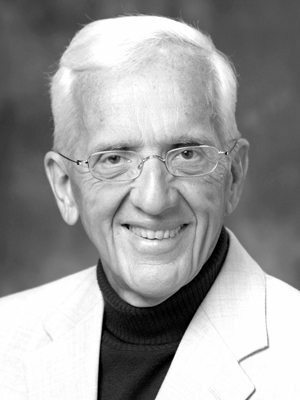 T. Colin Campbell PhD., is the Professor Emeritus of Nutritional Biochemistry at Cornell University, author of over 300 research papers, co-author of Whole: Rethinking The Science Of Nutrition, and the international best-seller The China Study. 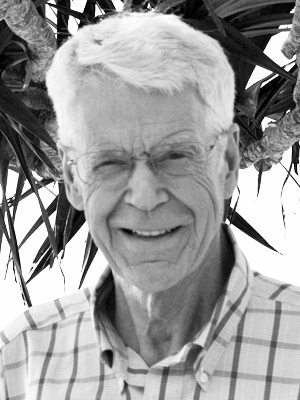 Caldwell B. Esselstyn, MD., is a trained surgeon from the Cleveland Clinic and the St. George’s Hospital in London, author of the book Prevent & Reverse Hearth Disease, and director of the cardiovascular prevention and reversal program at The Cleveland Clinic Wellness Institute. 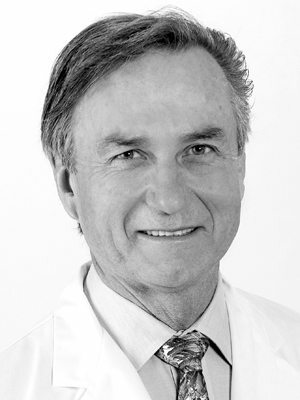 John McDougall, MD., is a board-certified internist, author of 11 national best-selling books including The Starch Solution, host of the television show “McDougall M.D.,” and medical director of the 10-day, live-in McDougall Program. 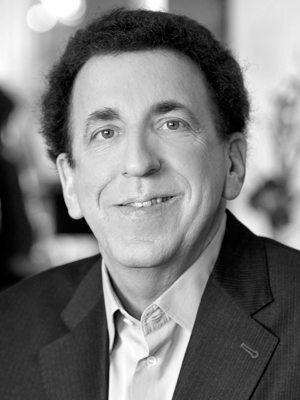 Dean Ornish MD is the president and founder of the nonprofit Preventive Medicine Research Institute in Sausalito, California, as well as Clinical Professor of Medicine at the University of California, San Francisco. Dr. Ornish is the author of six books, all national bestsellers. 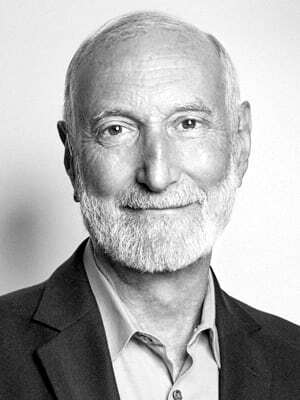 He is a revolutionary thought leader in healthcare and medicine, proving through 35 years of research studies that comprehensive lifestyle changes can improve chronic conditions and transform lives. 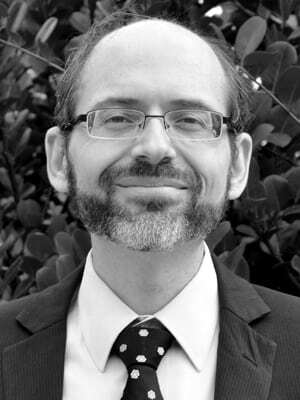 A founding member and Fellow of the American College of Lifestyle Medicine, Michael Greger, MD, is a physician, New York Times bestselling author, and internationally recognized speaker on nutrition, food safety, and public health issues. He has lectured at the Conference on World Affairs, testified before Congress, and was invited as an expert witness in the defense of Oprah Winfrey in the infamous “meat defamation” trial. In 2017, Dr. Greger was honored with the ACLM Lifestyle Medicine Trailblazer Award. He is a graduate of Cornell University School of Agriculture and Tufts University School of Medicine. His latest book How Not to Die became an instant New York Times Best Seller. He has videos on more than 2,000 health topics freely available at NutritionFacts.org, with new videos and articles uploaded every day. All proceeds he receives from his books, DVDs, and speaking engagements is all donated to charity. 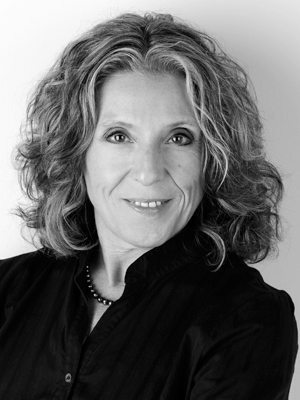 Dr. Pam Popper is a naturopath, an internationally recognized expert on nutrition, medicine and health, and the Executive Director of The Wellness Forum. Dr. Popper is the author of several books; her most recent is Solving America’s Healthcare Crisis. She is the Founder of The Wellness Forum Foundation, which offers programming in schools designed to improve children’s health through better nutrition. 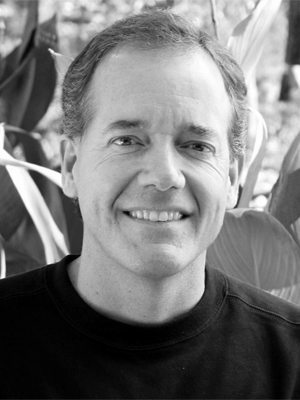 Dr. Will Tuttle, visionary educator and musician, is the author of the international best-seller, The World Peace Diet. 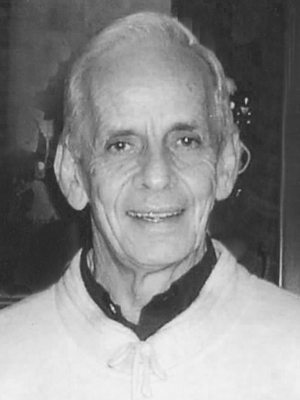 A former Zen monk and recipient of the Courage of Conscience Award, he is cofounder of The Worldwide Prayer Circle for Animals and is a vegan since 1980. 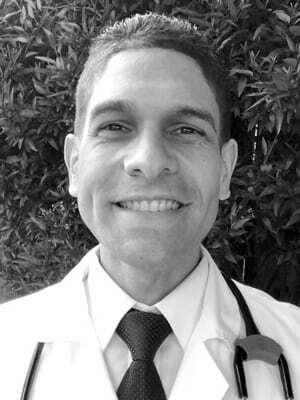 Jorge R. Miranda-Massari, RPh, PharmD. Ann Crile Esselstyn is a relentlessly energetic and creative advocate for the plant-based, whole-food way of life. She is the author of the recipe section of Dr. Esselstyn’s bestselling book, Prevent and Reverse Heart Disease, and co-author of The Prevent and Reverse Heart Disease Cookbook with her daughter, Jane. Ann never stops looking for ways to bring that important agenda to delicious life, devising ever more practical and powerful ways to shop, cook, and engage even the most reluctant eaters in the plant-perfect diet. She is a graduate of Smith College and holds a Masters in Education from Wheelock College. 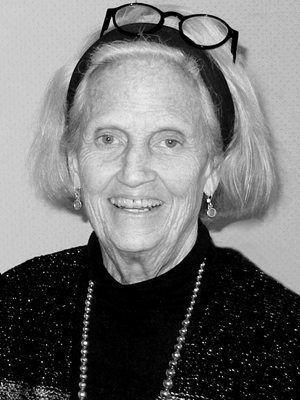 Ann taught English and History for 27 years at Laurel School in Cleveland, Ohio, where she received the Hostatler Award for Outstanding Teaching. 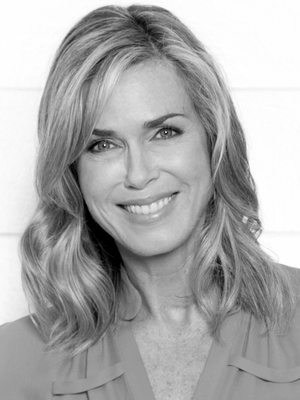 Kathy Freston is a bestselling author with a focus on healthy eating and conscious living. She is the New York Times bestselling author of The Lean, Veganist, Quantum Wellness, The Book of Veganish and her latest, Clean Protein. A media favorite, Kathy has appeared frequently on national television, including Ellen, The Dr.Oz Show, Charlie Rose, Good Morning America, The Talk, The Martha Stewart Show, Extra and Oprah. 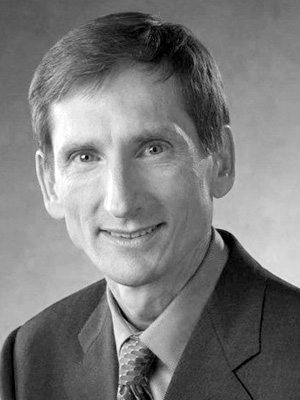 Doug Lisle, PhD., is the Director of Research for The TrueNorth Health Center, and the psychologist for the McDougall Wellness Program. He is also the pioneer psychologist of Esteem Dynamics. Ted Crawford was born, raised, and educated in Iowa and used to take five prescription medications for his own array of health issues. After adopting a plant-based lifestyle and reversing his health problems seven years ago, he began advocating this way of living to his patients. Dr. Crawford is a board certified family practice physician who believes that most of our health problems are caused by what we choose to put into our bodies. He also believes that even if you have been treating your body horribly for years, you can reverse most, if not all, of the deleterious effects you have caused by poor lifestyle choices. 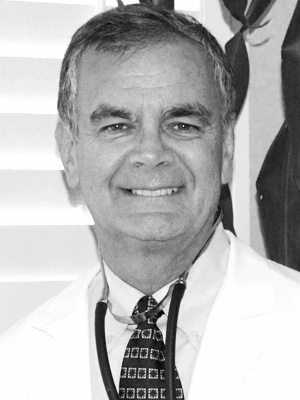 Dr. Crawford practices family medicine in Tucson, AZ. He is featured in the film “Eating You Alive”. Heather is the CEO of Dr. McDougall’s Health & Medical Center. 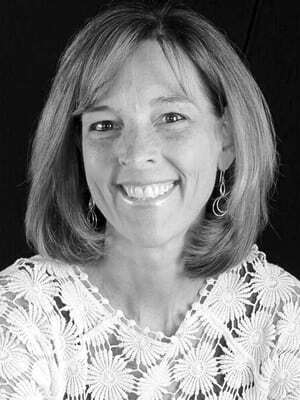 She has managed every aspect of the McDougall Program since it moved to Santa Rosa in 2002. Her involvement in the business includes Program Director, overseeing the McDougall website and McDougall Facebook page, day-to-day business operations, recipe development and advertising. Chef Bravo is a professional whole food plant-based chef and the author of many best-selling books including the Bravo! cookbook, as well as Bravo Express!. He teaches adults and children how to cook absolutely delicious WFPB meals without sugar, salt, and oil. 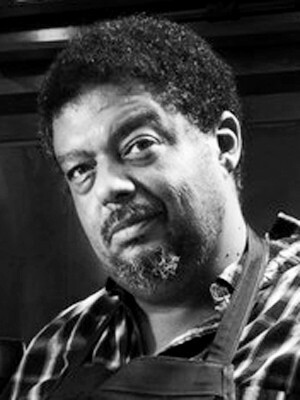 He is the executive chef for True North Health Center since 2007 and the leading Chef for the Culinary Medicine program for WFPB.ORG. Saray Stancic, MD., is a board certified physician and the founder of Stancic Health and Wellness, LLC where she practices Lifestyle Medicine. Dr. Stancic is currently producing a documentary film, Code Blue: Redefining the Practice of Medicine, which will highlight the practice of Lifestyle Medicine to prevent, treat, and manage chronic illnesses. In doing so, she has been traveling coast-to-coast over the past several months, interviewing prominent leaders in Lifestyle Medicine. Jane Esselstyn, RN., is the co-author of The Prevent and Reverse Heart Disease Cookbook,The Engine 2 Cookbook, and the creator of the recipe sections of #1 NYTimes bestseller, Plant-Strong and The Engine 2 Seven Day Rescue, by Rip Esselstyn. Her annual conference, Prevent and Reverse Heart Disease and Autoimmune Disease for Women, focuses on the power of a plant-based approach to eliminate this #1 killer of women and other preventable, lifestyle related diseases. Board certified in cardiology, echocardiography and nuclear cardiology, assistant professor of medicine in the University of Florida Division of Cardiovascular Medicine, and a fellow of the American College of Cardiology (ACC), where she is a member of the nutrition council working on nutrition policies for the nation. 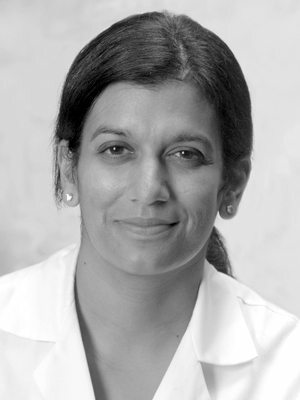 Dr. Aggarwal is also the author of the book “Finding Balance: Empower Yourself with Tools to Combat Stress and Illness,” which outlines 10 prescriptions to help guide people to better health. Dr. Jorge R. Miranda-Massari, BS Science, BS Pharm, RPh, PharmD. Is a Clinical pharmacist, researcher and Professor of University of Puerto Rico. He is professor of Pharmacognosy and Botanical Medicine in a Master of Naturopathy Program at the EDP University. 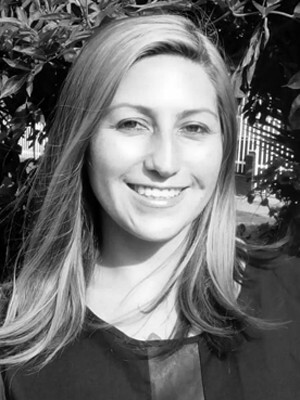 Dr Miranda-Massari has a doctorate in pharmacy from the Philadelphia University of the Sciences. He also completed a post-doctorate in pharmacokinetics clinical of the University of North Carolina, Chapel Hill. He is the author of over 100 scientific publications in peer-refereed journals. His research focus encompasses the use of pharmacologic nutritional biochemistry and metabolic optimization in cancer, diabetes and autism. He is also co-author of two books; I have Cancer What Should I do? (Basic Health) and New Insight of Vitamin C and Cancer (Springer). In a period of over 25 years, Dr. Miranda-Massari has presented hundreds of conferences and courses in North America, Central America, the Caribbean and Europe. 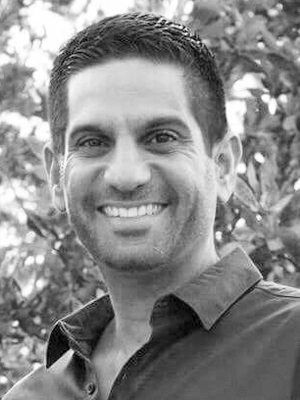 For over a decade he was a research associate and speaker of the Riordan Clinic, Wichita, KS as well as consultant in the area of nutritional biochemistry and health optimization. In 2014 he was elected into the Academy of Arts and Sciences of Puerto Rico and also to the Iberoamerican Academy of Science and Culture. He was also admitted to the Orthomolecular Hall of Fame (International Society of Orthomolecular Medicine) in 2016. Dr. Capó is a certified instructor for PCRM’s Food for Life and CHIP (Complete Heath Improvement) programs. Dr. Capó collaborated with the GEICO Workplace Nutrition Study coordinated by the Washington Center for Clinical Research. She practices as a health and nutrition coach in her consulting practice The Food Pharmacy located in Sarasota, FL. Dr. Capó also practices as an Instructor and Spanish Outreach Coordinator for the T. Colin Campbell for Nutrition Studies. She has been able to accomplish these endeavors with the love and support of her husband and four plant-strong children. 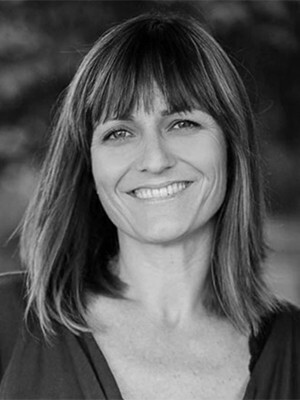 Ocean Robbins is co-founder & CEO of the 450,000 member Food Revolution Network. He has hosted more than 800,000 people in his online Food Revolution Summits, and he’s facilitated organized and facilitated hundreds of live seminars, gatherings and events for more than 200,000 leaders from 65 nations. Ocean serves as adjunct professor for Chapman University, and is a recipient of the national Jefferson Award for Outstanding Public Service, the Freedom’s Flame Award, the Harmon Wilkinson Award, and many other honors. He is author of The Power of Partnership, and co-author of Voices of the Food Revolution and Choices For Our Future. 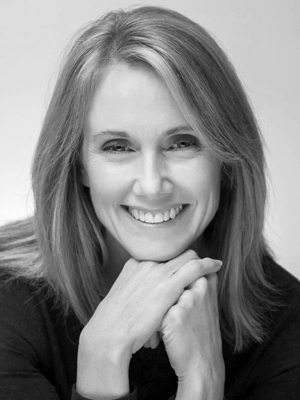 Kim Campbell is the author of two cookbooks, PlantPure Nation & PlantPure Kitchen, where she developed over 250 recipes using whole food, plant-based ingredients, and no processed oils. Kim has been a plant-based cook for 25 years, experimenting and preparing meals for her family and friends. Kim’s passion has always been recipe development and culinary education, especially for families and children. She has taught cooking classes in her local community and now through PlantPure, Inc. She currently directs recipe development and culinary education for the Company. You can watch her educational videos through PlantPureTV.com. In addition to this work, Kim will soon launch a continuing stream of educational videos, and is creating a second cookbook to be published later this year. In May of 2013, Paul was diagnosed with Heart Disease. His cardiologist gave him two options: bypass surgery or try “Plant Based Nutrition” (PBN). After meeting with Dr. Caldwell Esselstyn, he decided to try “Plant Based Nutrition”. After just 3 weeks his angina disappeared. His cholesterol levels dropped from 350 to 100 and he lost 65 pounds in one year. Paul promised himself that when he felt better he would put together a support group to help others in our community, so he contacted Dr. Joel Kahn who agreed to assist him on the journey. In February of 2014, he held his first Plant Based Nutrition Support Group (PBNSG) meeting and 123 people attended! Today PBNSG has 5400 members and over 70 volunteers. They have started many outreach programs and has relationships with the owners of 30 local restaurants. PBNSG has completed working on curriculum change with Medical Students at Wayne State, Eastern Michigan, Oakland University, Michigan State Universities and the University of Michigan medical school. It has also classes for local doctors to learn about the benefits of nutrition before pills or procedures called Doctors Teaching Doctors. PBNSG has over 30 small groups around the state. In 2018 PBNSG will be holding over 46 health and culinary education classes and just finished an 80+ page manual called “Healthier Together” which helps people around the world start their own Plant Based Nutrition Support Group. 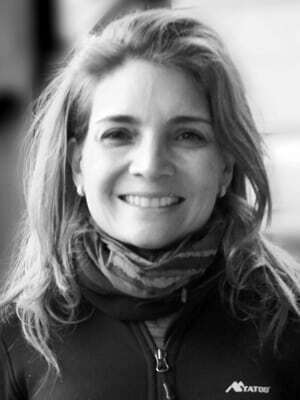 Claudia is the founder and visionary behind the Montessori British School (MBS), a prestigious, highly regarded, and most important schools in Colombia. She is also an innovator for a state-of-the-art academic curriculum that goes beyond academic content. Claudia is a whole plant-based eater who understands the importance of nutrition in action. She actively develops programs aimed at improving student’s eating habits through education. 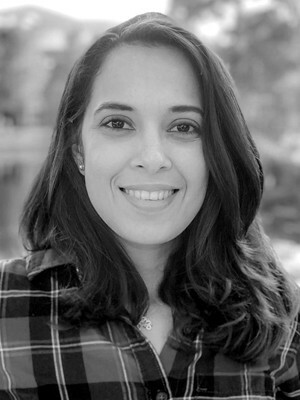 Claudia earned a professional degree in Architecture from Universidad Javeriana, a Master’s in City Planning from Massachusetts Institute of Technology (MIT), a Master’s in Education from the University of Alabama, and a Master’s in Business Administration from Kellogg’s Business Executive Program. 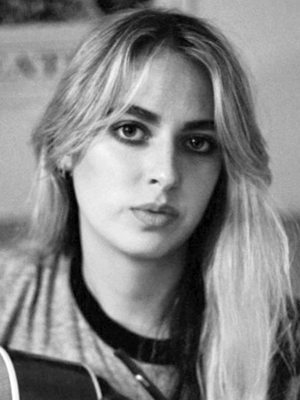 She was also part of the Singularity Program that takes place in Silicon Valley for Exponential Technology; she has enrolled in culinary courses at “El Gato Dumas”; has studied Sustainable Agriculture at the National Gourmet Institute of New York, and high definition photography and filmmaking at the New York Film Academy. She is a certified Coach from the ICT (International Coaching Community), and was admitted for a Fellowship at Columbia University for the Klingenstein Heads Program. Claudia is also the recipient of one of the country’s most prestigious awards, the “La Cruz José Acevedo y Gomez,” given to outstanding human beings that contribute to the development of society in a meaningful way. Nelson Campbell founded PlantPure, Inc. and its nonprofit arm, PlantPure Communities, to lead a grassroots movement to promote the health benefits of plant-based nutrition. He is the Executive Producer, Director, and Co-Writer of the documentary film PlantPure Nation, and the pioneer of the Healing America campaign. 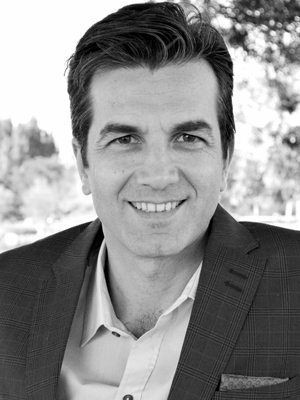 Dr. Antonio Soler is a general practitioner with more than 10 years of clinical experience in General Medicine and Urgent Care, Occupational Medicine and Plant-based Medicine and Nutrition. He completed his Doctorate in Medicine at the Ponce School of Medicine in Puerto Rico. 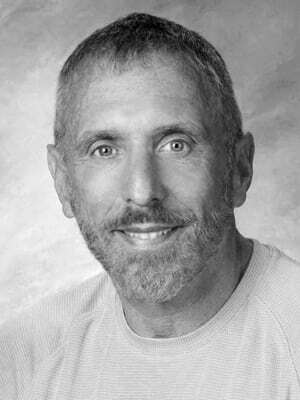 He is certified by the National Board of Medical Examiners of the United States and is an active member of the American College of Lifestyle Medicine. Today he is an active doctor at True North Health Center, and after helping in the healing of hundreds of patients, he is totally committed and dedicated to helping his patients improve and recover in the most effective way that exists according to scientific evidence. Dr. Mahesh Shah is a General Practitioner based in London, UK. He studied at the Hull York Medical School (Yorkshire, England) and gained his qualification with the Royal College of General Practitioners in 2015. He is a passionate whole food, plant-based nutrition advocate, and his practice incorporates naturopathic and functional medicine principles. He is dedicated to helping people transform their lives through good health and inner happiness. 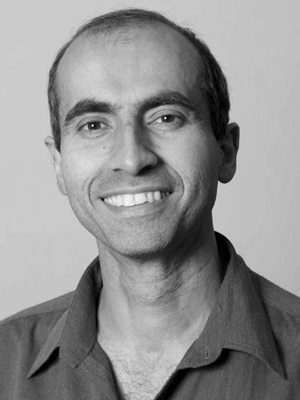 In addition to providing a holistic service for his patients, Dr. Shah participates in health events for various groups and organisations in the UK. 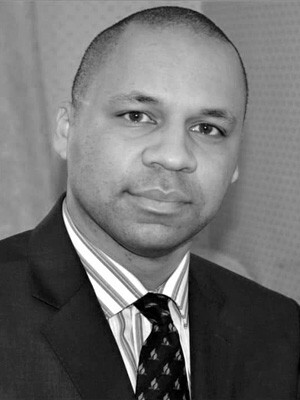 He is an advisory board member for Plant Based Health Professionals UK and a health advisor for the Sri Sathya Sai Service Organisation UK, which amongst other activities provides free health days for local London communities. Dr. Shah also feels deeply connected and dedicated to the wellbeing of our wonderful planet Earth, and sees human and planetary health as being interconnected – one cannot be without the other. Thus by looking after both, humanity can live in harmony with the environment and build a cleaner and brighter future for all. Board certified in family medicine, Ana M. Negrón, M.D. has made cooking an integral part of her practice. By transitioning her patients to a whole food plant-based diet she helps reduce inflammation at the root of their illness. Born and raised in Puerto Rico, Negrón has a solo nutrition practice near Philadelphia. She volunteers at a free clinic for the uninsured, and teaches young physicians how a whole foods plant-based diet can prevent, help treat, and even reverse chronic disease. 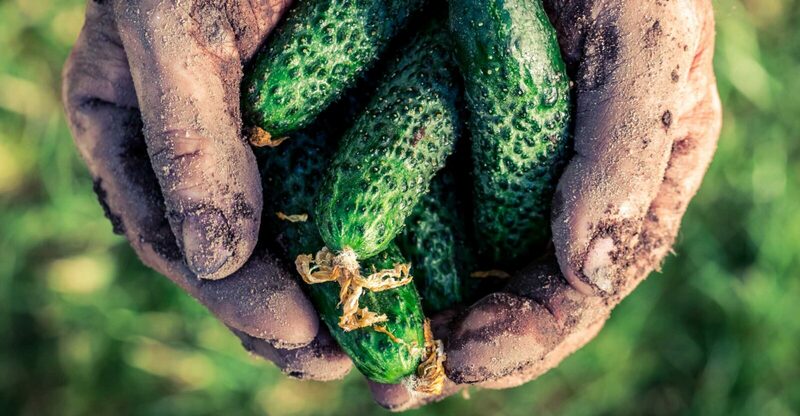 Sunstone Press published her recent book, Nourishing the Body and Recovering Health: The Positive Science of Food—an antidote to our reliance on pharmaceuticals. Mark has had extensive experience researching vegetarian health issues as well as the environmental impacts of a healthy vegetarian diet. As the President of Vegetarian Victoria, he regularly develops and presents talks regarding vegetarian issues, including the sustainability of a meat-free diet. Mark is the Event Manager for World Vegan Day and regular guest speaker for organizations such as student groups and university clubs. Mark is the representing leader of WFPB.ORG in Australia. 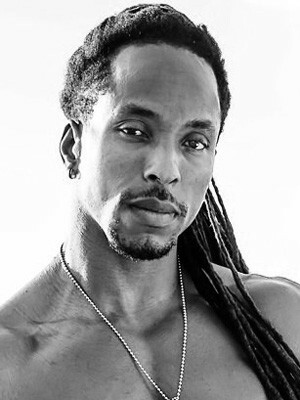 Torre Washington is a professional bodybuilder, National Academy of Sports Medicine Certified Coach, sprinter, and animal lover. From a young age, he became fascinated by the human body and began sculpting his own body with a dumbbell and a bench. Torre has won numerous bodybuilding awards, including from Musclemania Pro, the Arnold Classic, the World Natural Bodybuilding Federation, IFPA PRO, the National Physique Committee, and SNBF. In 2013, he won 1st Place at the Musclemania Universe Open Bodybuilding Competition. Derek is a four-time natural bodybuilding champion as well as a WNBF and NFF Pro Men’s Physique Athlete. He is also an A.C.E. Certified Personal Trainer, Corrective Exercise Specialist, is certified in Plant-Based Nutrition, and holds a Bachelor of Science in Biology. Derek and his wife are the team behind Vegan Muscle and Fitness, where they have shared their training and nutrition tips, recipes and more since 2009. Owners of Richmond, Virginia’s only plant-based personal training studio, Root Force Personal Training, the pair seeks to promote a fit and active plant-powered lifestyle and shatter the perception that strength and athleticism can’t be achieved with a plant-based diet. Tally Spear is an acoustic folk / pop singer songwriter based in London, UK. 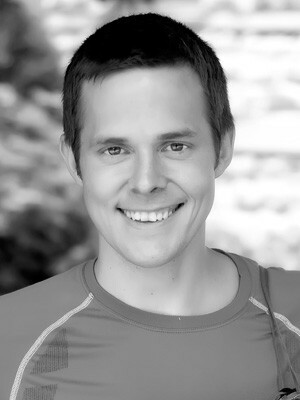 Matt is an author, entrepreneur, and vegan ultramarathoner, best known as the founder of the No Meat Athlete movement. Matt’s work has been featured in books including Rich Roll’s Finding Ultra, Brendan Brazier’s Thrive Foods, Seth Godin’s What to Do When It’s Your Turn, and Heather Crosby’s YumUniverse; print magazines such as Runner’s World, Trail Runner, and Canadian Running; and online publications including the Huffington Post, Forbes, Business Insider, WebMD, Shape, and Competitor. His books have been published in five languages and sold more than 80,000 copies around the world, and Sports Illustrated named The No Meat Athlete Cookbook one of its 7 Best Health & Wellness Books of 2017. Matt lives in Asheville, North Carolina, with his wife and two children. Lecturer, writer, columnist and international consultant on issues of Integral Wellbeing, Self Development, Feminine Empowerment and Exponential Leadership. Yoga teacher with training in Raja Yoga, Kundalini Yoga and Soul Flow. Certified as a trainer in Ayurveda and Integrative Health at the California College of Ayurveda. Certified in Plant-based Nutrition and Detoxification at The School of Plant Nutrition’s, Fred Busch. Certified Therapist in Raw Food from the Ann Wigmore Institute of Natural Health. Author of the book Estar Bien, wellness practices for a life in balance, of the Grijalbo Vital stamp from Editorial Penguin Random House. 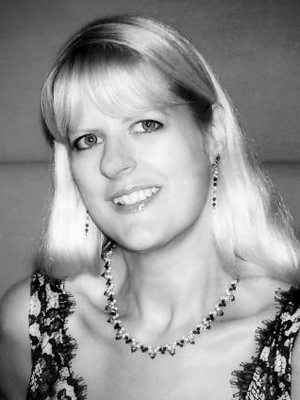 Columnist of Integral Wellbeing for Consciousness Magazine, European digital magazine. Producer and director of the radio program Estar Bien con Xiomy on Radio Online Colombia. Presenter and producer of Estar Bien program in TV format with Telepacifico. 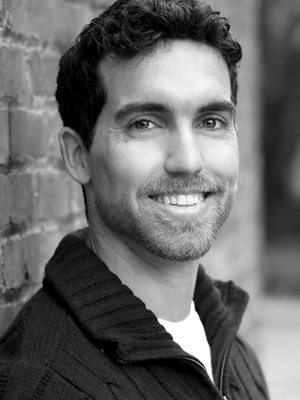 Michele Lastella is a filmmaker and sustainability expert, co-author of Naked Food Magazine’s Master Plants Cookbook. 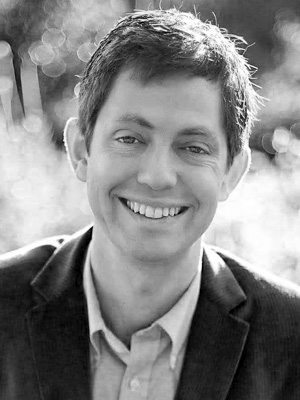 He is the founder of Sustainable Media, a multimedia company focused on uncovering information through investigative research. Michele is a Reiki Master and a producer of biodynamic wine and olives. Michele is working to bring the whole food, plant-based message to Italian speakers and is the director of WFPB.ORG Europe. He is a graduate from the National Academy Of Dramatic Art in Italy, a theater and film writer, and a professor at the New York Film Academy. 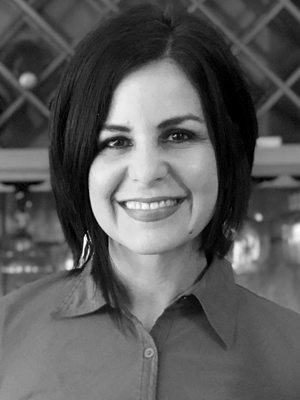 Toni has spent her entire 22-year career in the fields of product development, marketing, supply chain and operations of consumer packaged goods, particularly cosmetics, skin care and nutrition products. She is the principal of Inventive Product Group, a firm that takes concepts and ideas into finished products through positioning and product development. Toni holds a degree in Business with an emphasis on Marketing and International Business from California State University. She has also earned a Plant-Based Nutrition Certificate from The T. Colin Campbell Center for Nutrition Studies. Sigfrido Hernández developed a passion for the animals, the land and the ocean but it wasn’t until later in life that he understood the powerful connection between food choices, human and environmental health, and the tragic fate of billions of animals. In 2006 he co-founded The Food Pharmacy to help educate the community on the best nutritional and lifestyle choices for a sustainable and healthy future for all species. His expertise is in project management, work process development, scheduling and productivity improvements. Sig holds a B.S. in Chemical Engineering from Purdue University, a M.S. in Chemical Engineering from the University of Maryland and an Environmental Engineering course work from the University of Florida. 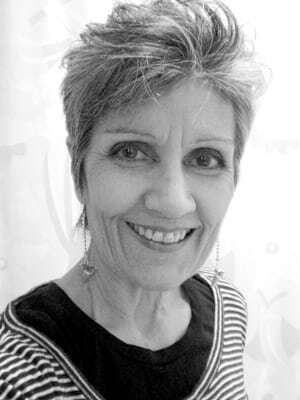 Denise DeSerio is the Senior Copy Editor for Naked Food Magazine. 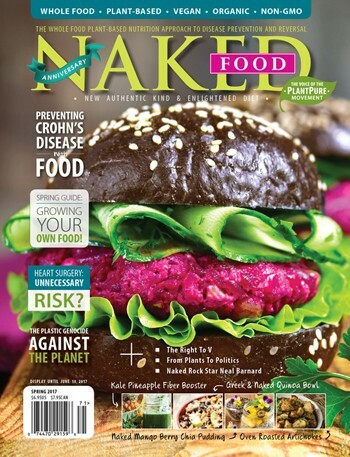 She also assists with editing Naked Food’s media and cookbooks including the Master Plants Cookbook. 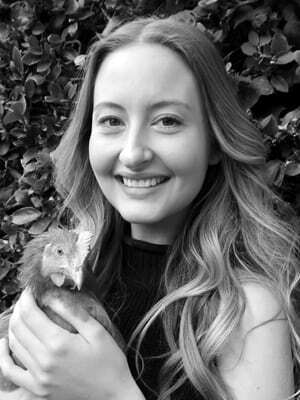 Denise is an avid proponent of the plant-based lifestyle and has served as Executive Director of her local animal rights group. 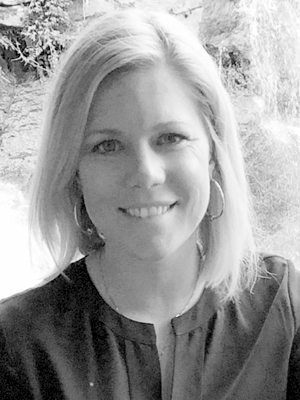 She has an Associate Degree in Commercial Art and also contributes her knowledge and experience with restaurant menu-writing and her love of cooking good, healthful food. Augusto is a retired chemical engineer. 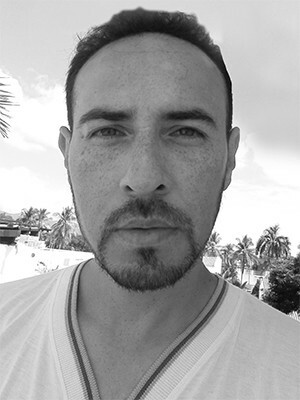 He is the copy editor for Naked Food en Español and he is an expert in Spanish translation and grammar.Augusto’s grandfather actually participated in the building of the original Spanish Dictionary from the Royal Academy of Language in Spain. Augusto is also the Fulfillment Director for both Naked Food magazine and WFPB.ORG. Niyireth is an internationally-trained chef with extensive experience in whole food, plant-based baking as well in culinary-related aromatherapy and reflexology. She is also an expert in culinary sustainability including recycling, green product management, and composting. She is a cooking instructor in community kitchens helping children, seniors, and animals while educating everyone about ethical and coherent consumption of food and products. 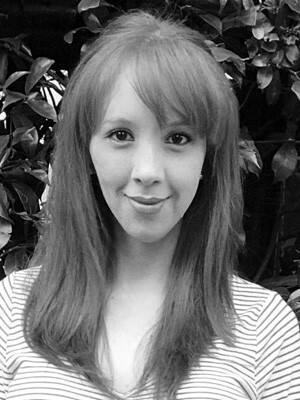 Niyireth is adamant about serving others as the main purpose of life by promoting positive learning around the world. Niyireth is a recipe developer of authentic WFPB Latin American cuisine for Naked Food Magazine and a Culinary Medicine Advisor for WFPB.ORG. 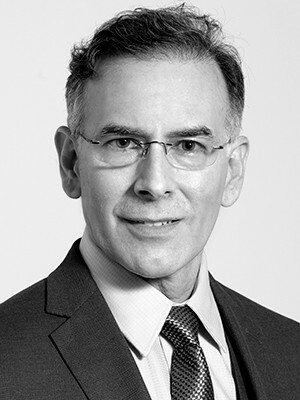 Christopher A Levy was born and trained in London, England, and studied medicine at St. George’s Hospital Medical School, University of London. He also has a degree in Pharmacology from King’s College, University of London. He subsequently trained emergency medicine, in which he now practices. He enjoys golf, cricket, photography, music and vegan cooking, and is passionate about teaching others how to live a healthier lifestyle. Milena is a professional psychologist. She is currently studying and practicing Mindful Eating in order to help others understand and manage the link between eating habits and emotions. She also has experience in training programs, communication, and teamwork. She became vegan because of her love for all animals and upon learning the scientific evidence behind a WFPB lifestyle, she found a clear and solid understanding on the co-relation between the health of body, mind, and spirit. 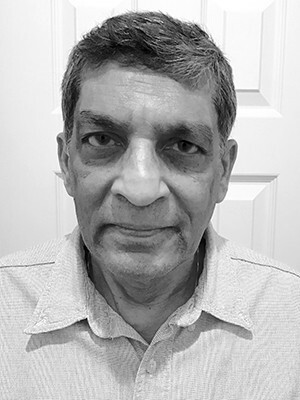 Babu is a Ph.D. and a Post-Doctorate Research Fellow from Great Britain and has worked in industry and universities in Europe and the United States for 35 years. After his retirement as a Lecturer, Admissions Tutor, Chemical Engineer, and Performance and Development senior consultant, he became a learning facilitator in the College of Business Administration in Central Michigan University. Babu was involved with UNICEF (United Nations Children’s Fund) ever since his student days and worked on projects to help less fortunate children while inspiring students to volunteer. He was awarded the Honorary Life Membership of the Student Body for contributions to the welfare of students. Babu is currently very active with the Plant Based Nutrition Support Group in Midland, Michigan with his wife, Susan Subbaraman, and manages the online support groups worldwide for WFPB.ORG. 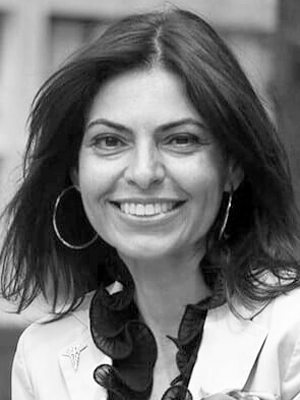 Ana Maria is a professional neuropsychologist graduated from the Pontificia Universidad Javeriana in Colombia, and the Higher Institute of Psychological Studies in Spain. She has years of experience in the coordination of work teams, management of productive indicators, strategic communication, coordination of social networks, as well as collection and comprehensive user retention to achieve marketing goals. Ana Maria is an activist for animals as well as nutrition and environmental health through a whole food, plant-based diet. He directed the gastronomy program at the Escuela Taller De Bogotá, a foundation focused in training vulnerable young adults from the war conflict, and has volunteered with the local government educating street vendors on healthier food choices. 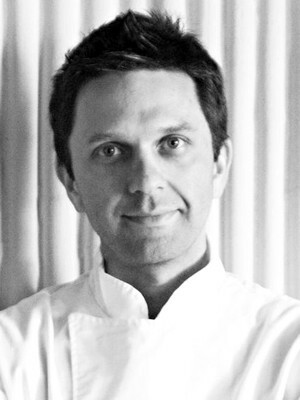 He is the creator and founder of the restaurant Suburbio BioGastronomy, -healthy meals with fresh, local, organic, fair trade ingredients- and offers WFPB cooking classes and consulting for the hospitality industry. He also helped transform the meals of a Montessori kindergarten into healthy ones while creating a school garden to involve children and their parents in the art of healthy eating. His main focus is enhancing people’s lives through flavorsome healthy foods and empowering them benefit from them. 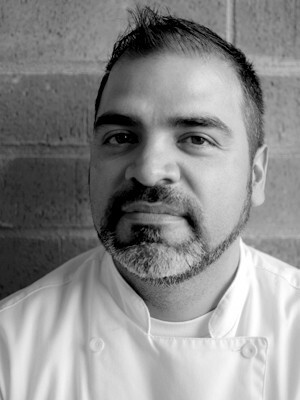 Camilo is a Culinary Medicine advisor to WFPB.ORG and has a Certificate in Plant-Based Nutrition from the T. Colin Campbell Center For Nutrition Studies and eCornell. 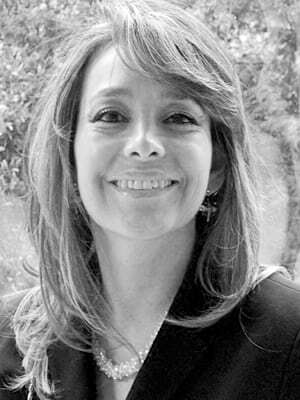 Diana Inés Esguerra, MD., is a surgeon from the National University of Colombia, specialized in Emergency and Intensive Care, as well as alternative therapies. She has dedicated herself to clinical practice with therapeutic success for more than 20 years, having as fundamental basis whole food, plant-based nutrition for the prevention and reversal of chronic diseases. Dr. Esguerra is an expert in the practice of traditional Chinese medicine, Ayurvedic medicine, and quantum medicine, among others. She is a member of the Board of Directors of the Colombian Vegetarian Society and of the Association of Medical Researchers in Alternative Therapies (ASMIT). Fabian has 10 years of business experience in personalized service, attention to detail, and operations of international cuisine restaurants. He also creates avant-garde cocktails and functional drinks base don whole plants, fruits, and vegetables. He is an activist for animals and the environment, especially water and marine fauna, water use and resources, and their influence in the planet. He also spreads the plant-based lifestyle message through sport, gastronomy, and the use of ecological products and services. He is founder and partner of the Vegan Soccer Team in Bogotá, Colombia. Leah Majeski is a graduate of The University of Alabama where she earned a degree in Marketing and Communications while playing for UA’s softball team all four years. Since graduating in 2007 she has continued to be involved with softball as a coach and mentor. 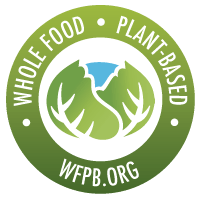 In 2012 she changed her life to live WFPB for the environment and the animals and has never looked back. Leah has built a promotional product marketing company from the ground up and is dedicated to changing the world one organic sustainable product at a time. She believes every business can get the products they need to best promote their brand while not doing harm to the planet and all its living beings. Vanessa Marquez, is an entrepreneur, mother, and motivator for a plant-based, healthy, and sustainable lifestyle for the whole family. She has been traveling the world for more than 13 years, learning other cultures and experiences that lead her to live currently in Dubai with her husband and son. She spreads the message through social networking, talks, and cooking demonstrations. She has followed a plant-based diet for more than 7 years. Suffering from autoimmune hypothyroidism, her healthy lifestyle, mind, body and spirit, has inspired her to share her experience with others. 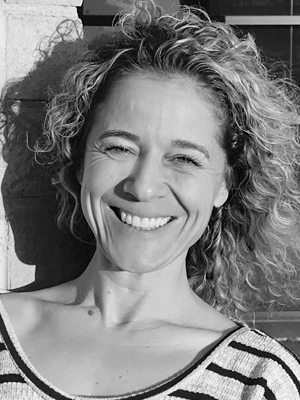 Vanessa is a plant-based recipe developer of plant based lunch boxes for children, and she is certified in Plant-based Nutrition by T. Colin Campbell Center For Nutrition Studies. 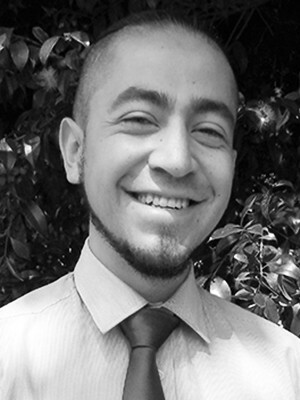 Edgar Camacho is an ecologist, environmental administrator, and environmental law specialist. He is the director of the Green Life Ecological Foundation “Fevive” and Ambassador of the Union Project Foundation. Advisory member of the accidental animal commission of the Congress of the Republic of Colombia, and promotes in partnership with other organizations the protection and welfare of wild and domestic animals. He is a lecturer in geo-physiology, sustainability, socio-environmental impact and strategies for pedagogy and eco-environmental communication. 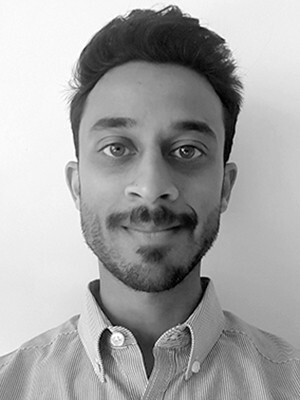 He practices social communication with an emphasis on environmental journalism and produces radio programs on topics of science, ecology, education, culture and environmental health. Matthew Sikora is a passionate vegan educator since 2011. While teaching Computer Science at the United States Naval Academy, he created a club called “The Green Classroom” which focused on sustainable living and veganism. 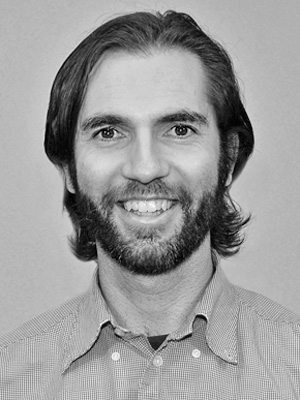 Matthew recently moved to Mississippi and was elected to serve on the board of Jackson, Mississippi’s Rainbow All Organic Food Co-op in 2016. Matthew has been in Computer Science and Information Technology for the past 13 years. He enjoys regular vegan tabling at street fairs and giving talks at schools. Reach out, tell us who you are and what you are doing. We'd love to hear from you. The world needs us, and we need the world. Help us make a billion-strong team. Our partners make this the strong alliance we want to achieve. Let's team up and change the world together.